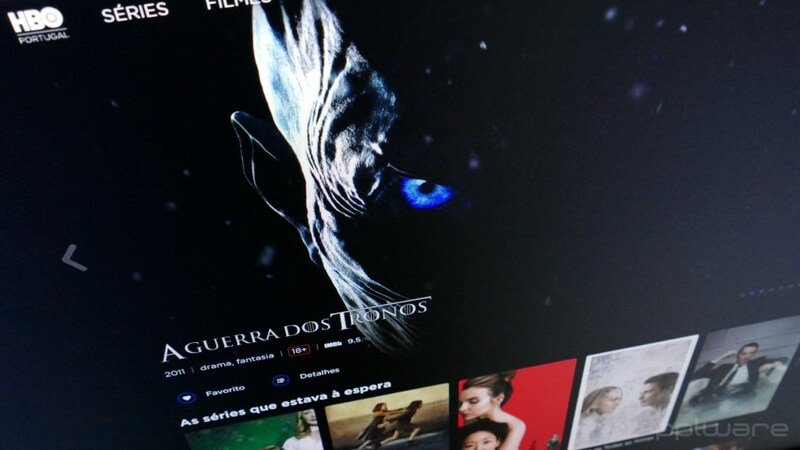 HBO just arrived in Portugal with a streaming service of films and series with their original content, with new episodes arriving at the same time they are released to the United States. This service works in a way very similar to that offered by Netflix and for a month you can even explore all the content and see if you can pay for it or not. To help you, we'll let you know about some HBO series titles, and we'll show you what you need to do to subscribe to the service. HBO Ireland – How to experience the service? HBO Portugal is a new streaming service for movies and series just arrived in our country. This is a service similar to Netflix, a variation of the HBO GO released in the US in 2010. Vodafone customers were offered with the news that the service would be free for all for 3 months, but any of us have access to the service through any common device: smartTV, smartphone, tablet, PC and even through PlayStation, Chromecast or Apple TV. For a month, you can then test the service for free. After the free trial period, the subscription costs 4.99 euros per month. The account can be used on 5 different devices and allows to transmit on two devices simultaneously. Registration in the service is very simple and only goes through creating an account, with Name, Email and Password. Later, a credit card or PayPal account. Once this is done, the service is ready to use. In terms of series, the collection is great and appealing, even because it has some of the most popular ones available and certainly up to now. As far as the films are concerned, we still see a small library with no major news or titles that stand out. Hopefully in this respect the situation improves in the coming times. True Detective is an award-winning crime drama. It has 2 full seasons of 8 episodes each, and the third season has also debuted. In fact, there are only two episodes to go to the end and to unravel all about the macabre murder of two children in Arkansas that has been unresolved for 35 years. In this series of mystery and suspense, a plane disappeared back years later, after having presumed that it had disappeared in the sea. Manifest has a rating of 7.4 / 10 on IMDb and its 15 episodes are all already available. Deadly Class is a short series of 5 episodes, the 5th has not yet debuted and already has a rating of 8.1 / 10 in IMDb. The story centers around the tragic and mysterious death of a mother who leaves daughters Mel and Maggie with difficulty moving on. Three months later, they discover something that will change their lives forever: they have another sister and they are witches. In High Maintenancand, Ben Sinclair is a friendly herb vendor from Brooklyn whose clients include an eccentric group of characters. Spirited, the series gives a glimpse of the day-to-day of clients with neuroses as diverse as the city. The series already goes in the third season and is well classified in the IMDB. Strike Back introduced himself to the world in 2011 and is already in the 6th season. The story portrays the lives of two special agents entering the fight against terrorism. A series of lots of action and crime. Sharp Objects is another of the series that has to do with HBO. It portrays the life of a reporter Camille Preaker who returns to her homeland to investigate the murder of two young women. You will have to deal not only with your own emotional disturbances but also with the unstable mother and a half sister you barely know. The War of the Thrones does not require presentations and it seems that HBO Portugal could not have reached a better time, since this year, in a few months, will debut the last of the seasons of this legendary series … and also one of the most pirated ever. However, if you want to review all episodes of past seasons, you can do so.